One fact that is not well known is that Forklifts don’t have suspensions. As a result, everything rides on the tires. Tires are essential for softening the ride your employee, equipment and product experiences. So when your tires are low so is your forklift. In the past few blog posts we have attempted to educate you on forklift tires and understanding which one is right for your job environment. You should realize that the average forklift tire is carrying over 9600 pounds on the drive tires, and about 1300 pounds on the steer tires and they do this while your truck turns, stops and accelerates getting the load to and from points within your workplace. To do this safely it should be in the best condition possible while it lives through its wear life [anywhere from a thousand running hours or more dependent upon your floor conditions and use]. So lets look at your tires and discuss the type of wear you may see and why. 1. 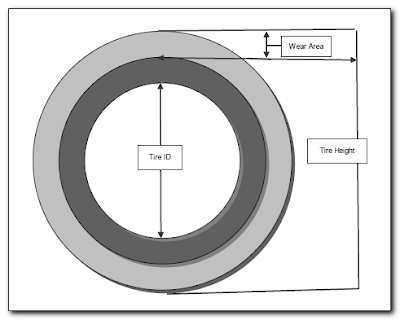 Simple wear: Your forklift tires have a 50% wear line; it’s just above the tire size. When the top of the tire meets the wear line it’s time to start thinking of replacing the tires. 2. Chunking: Pieces of the tire rubber are falling off, caused by litter or debris on the floor, spinning over rough surfaces, or striking objects while in use. This is a harsh one, often a great cause of the truck rattling while being driven. 4. Flat spots:. When the truck, personnel and product are shaken as they move. This is often caused by spinning the tires during acceleration, frequent sharp turns under heavy load, or misadjusted brakes. Underinflation: This can compromises stability and accelerates wear. Use the pressure settings on the side of the tire as a guide to what pressure to maintain. Moreover making hard turns under load with an under inflated tire can fold the tire, causing it to let loose of the rim resulting in a violent shift in the equipment and load. Under inflation will also reduce your lift trucks fuel efficiency. Over inflation: This will result in less stopping power due to a lessening of the tires traction. It will also cost you more through expedited wear. 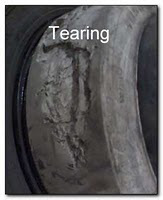 Sidewall cuts from objects struck by the tire threaten sudden shits in the unit with the loss of air pressure, and in the case of foam filled tires will allow the fill to ooze out causing the unit to lean in the direction of the damaged tire. Over worn solid or resilient tires can cause the lift truck to run rough or shake on harder surfaces, reducing the driver’s ability to control the unit, and reducing the stability of the load. Tires that are worn or low can cause several problems for the forklift owner and operator. Tire wear never happens evenly on a forklift and therefore your forklift can become unstable . Low tires mean that your forklift has a greater chance of a transmission housing becoming damage by hitting a dock plate or debris on the floor. Also remember the smaller the tires, the faster they turn and the harder your transmission works, which could lead to overheating . 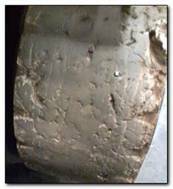 Damaged tires will lead to greater vibration of the forklift, which often leads to accelerated equipment and driver fatigue. An overly tired operator is often unsafe and a fatigued forklift will begin to have repair issues. So pay attention to the conditon of your forklift tiress. If you are still unsure about your forklift tires, give us a call and we will evaluate them for you. Hi there.That information really help me.I was looking for an article like this one, because i work withsome forklifts and i wanted to know when should i change their tires. Thank you for the information. I don't know a lot about tire damages. This post broaden my knowledge about them. I like that tire because even nails cannot do flat tire of this..Thanks for the post.